Washington, Dec 4 (IANS) US President Barack Obama is very much impressed with the way Indian Prime Minister Narendra Modi has shaken up the bureaucratic inertia inside India to improve the business climate in the country. “India- Modi has impressed me so far with his willingness to shake up the bureaucratic inertia inside of India,” he said speaking with Business Roundtable, a group of CEOs of some of leading US companies, at an event in here Wednesday. “But that is a long-term project and we’ll have to see how successful he is,” said Obama giving a global perspective of the world economy and the challenges and opportunities ahead for America. Obama and Modi hit it off with their very first meeting in Washington in September end making for a highly successful visit that re-energised a stalled relationship. 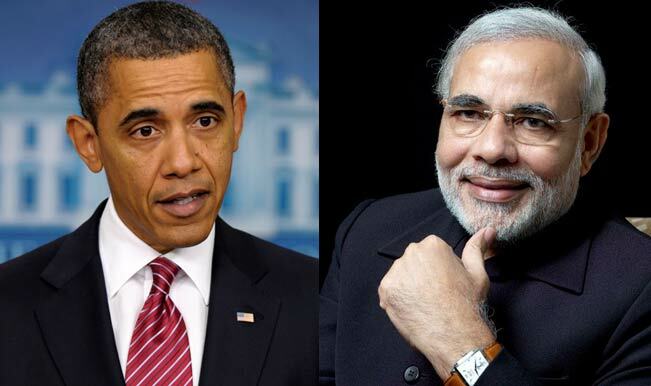 Modi followed it up with an invitation to Obama to be the chief guest at India’s Republic Day parade in January. “The United States stands out as an economy that’s going strong at the moment,” Obama said. “The emerging markets I think have been slower than anticipated,” he said. “So I guess the overall global picture . is people continue to look to America for economic leadership,” Obama said. At the height of 2008 global financial crisis “America’s businesses were shedding about 800,000 jobs per month,” he said. “All told, the United States of America, over the last six years, has put more people back to work than Europe, Japan, and the rest of the advanced world combined. And that’s a record for us to build on,” Obama said.